Adam Pacelli and Kimberley Krueger have Brooklyn in their blood. 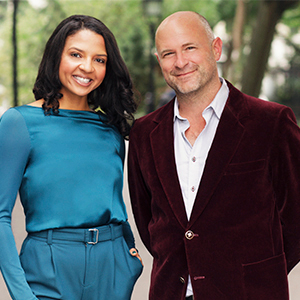 Both born and raised in Brooklyn, Adam and Kimberley are still lucky enough to call Park Slope and Prospect Heights their home. With over 20 years in real estate collectively, we have experienced a range of environments. This awareness and comprehension has allowed us to create a personal road map of success for clients, despite market conditions. Our client centered approach has proved effective and advantageous, making us an industry standard for success. At the end of the day, Brooklyn is about being able to celebrate the cultural diversity, yet inclusive nature that this wonderful community has to offer. We are proud to live, work and serve the people of this wonderful borough. “Worked with Adam and Kim on the purchase of my new Brooklyn apartment and they were AMAZING to say the least!! Super responsive, professional and reliable. They listened intently and delivered. Would highly recommend, 5 stars!" “Kim and Adam were so helpful when we were buying our first home! Buying an place is so intimidating, but Kim was really patient, informative, and personable during the process and really put us at ease every step of the way. She listened to our asks and truly delivered! 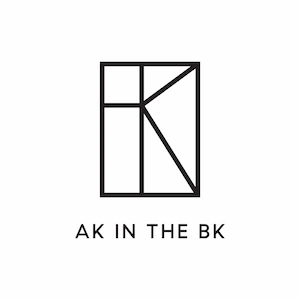 We couldn’t be more excited to move in and are so thankful to AK in the BK!" The future is Milan Case Study. We are guided by the key principles set forth in the mid-century-modern architecture movement – affordability, non-site-specific design, the use of advanced building techniques and technologies to solve residential challenges. Ideally perched on 116 rolling acres, just 90 minutes from New York City, your escape is never too far. A place where you can go for a drive down a quiet country road defined by rolling hills, hidden meadows, and beautiful rock walls. Coupled with the award-winning design of renowned AIA architect, James Garrison, we offer a way of life that is cutting-edge, sophisticated, and surrounded by natural beauty.